Every medical debt collection agency has seen a significant increase in medical debt and will continue to do so in the coming years. According to the Centers for Medicare and Medicaid Services, U.S. healthcare spending reached $2.8 trillion ($8915 per person) starting in 2012. These totals are expected to increase sharply by 2020 with estimated national health expenditures to reach $4.6 trillion. Since collection agencies are becoming flooded with more medical debt than ever before, it is imperative that they adopt more flexible payment policies to ensure they are accommodating the patient’s need for financial assistance. If you are a medical office, do your due diligence in making sure you are choosing the most reputable collection agency in your area. 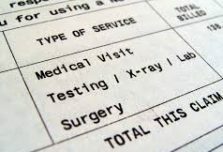 The medical debt collection agency’s reputation amongst your peers will say a lot about how they will work with your patient base.